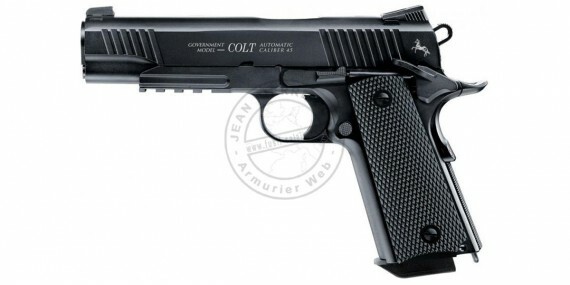 The Colt M45 CQBP BB Pistol has an all metal construction and a built in 19-shot BB magazine. The spring powered grip release and the CO2 compartment in the grip make this pistol extremely easy to operate. A fixed blade front sight makes aiming a breeze. Realistic weight of 2.03 lbs.